Apparently even after feasting on a few whole deep fried chickens the old saying ‘always room for dessert’ still stands true. 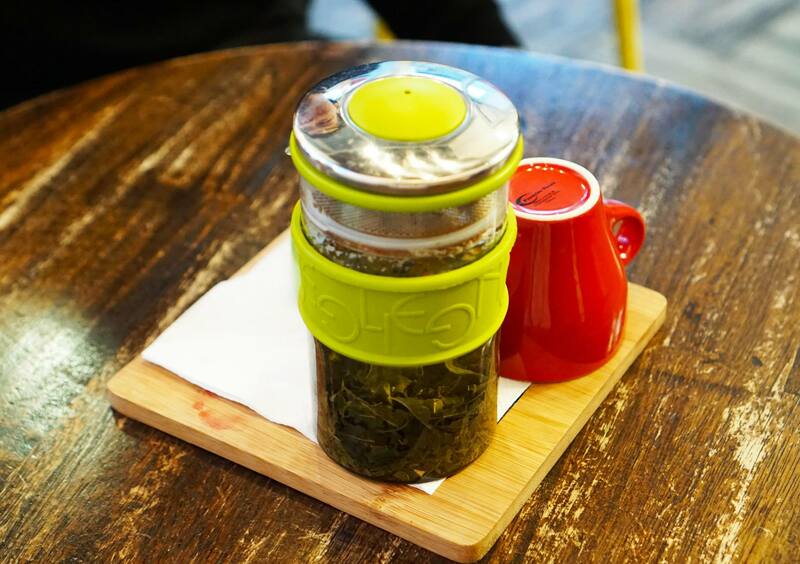 The Choc Pot, a cosy little cafe out in Burwood ended up being our next stop for a bit of dessert (or perhaps a lot) of dessert) and some tea to help wash it all down. Since we’d never visited The Choc Pot previously, we let others who have visited previously decide what to get. 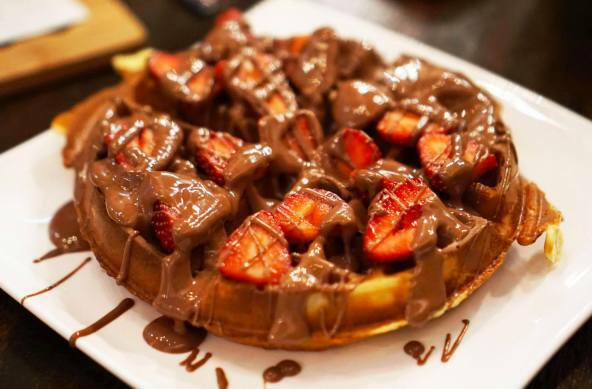 Miss K has always been a fan of waffles and chocolate so the crispy strawberry field waffle was perfect, just the right balance of sweetness so that it wasn’t too overpowering. Next time we’ll add ice cream! I’ll admit I’ve never really been a dessert person but there was no way we were going to visit The Choc Pot and not try the signature item that gives the place its name. This is seriously just layers of chocolate covered in more chocolate served hot with a side of strawberries, so so good but not something I could have solo. This interesting little crepe was filled with vanilla cheesecake and blueberries in a few different forms. 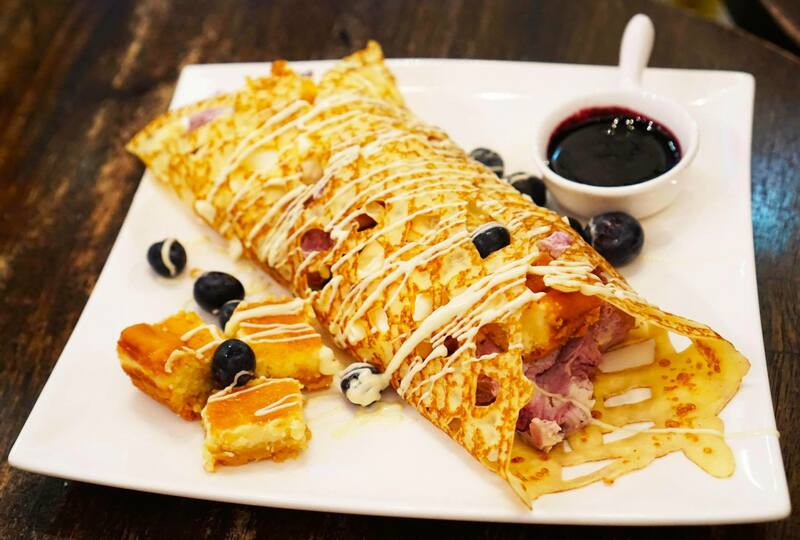 Since I’m a big fan of crepes and cheesecake, this turned out to be my favourite and was even better smothered in the sweet blueberry jam which everyone seems to forget about. 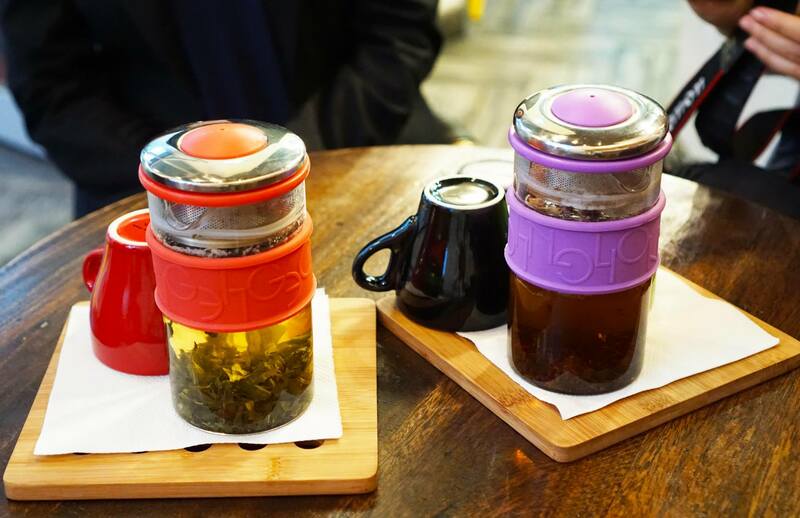 The cafe also has a number of teas to pick from including recommendations on the best tea match for certain desserts. Miss K and I particularly enjoyed the lime green tea most but all the teas were really aromatic. Overall a great experience and a change from the usual dessert chains in Sydney, beware the limited seating if you’re in a group though because there’s only a few tables inside! 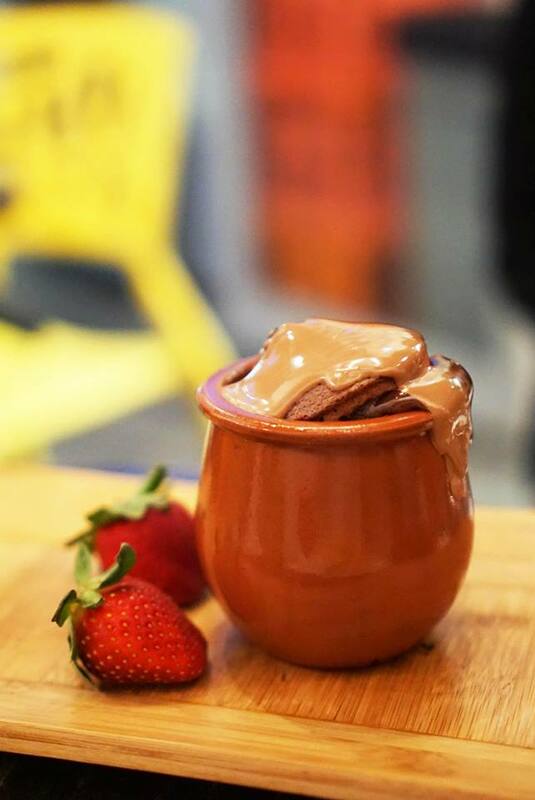 Layers of chocolate smothered in chocolate…you don’t need to say anything more, I’m totally there!